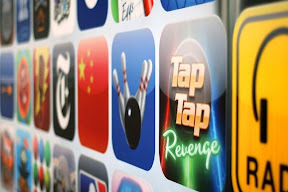 We have been hearing quite a bit about Apple’s trademark filings for the phrase ‘App Store’ recently, and even suing to protect it. The European Trademark office has published two of Apple’s latest trademark filings, which expand the coverage of their ‘App Store’ trademark. The new filings some graphic for the App Store, and also Apple have expanded the international classes that ‘App Store covers to 10 categories, which now cover things like games for Apple’s Game Centre and books for Apple’s iBooks store. The information about the trademark filing was uncovered by the guys over at Patently Apple, and they also found out something else which is interesting, Apple is also filing the trademark to cover financial transactions, which includes credit card transactions and services as well as electronic cash transactions. This is more evidence that Apple is working on their own payment service linked to iTunes, and we have heard previously that this new payment service could be used in a future iPhone with built in NFC capabilities.